Heavy duty, 4 layer limit straps designed for the rigors of off roading. Limit straps are vital in custom suspension setups helping to prevent damage to suspension and drivetrain components. Without limit straps the force of your vehicles unsprung weight can cause damage to shocks when jumping or at high speeds over rough sections. 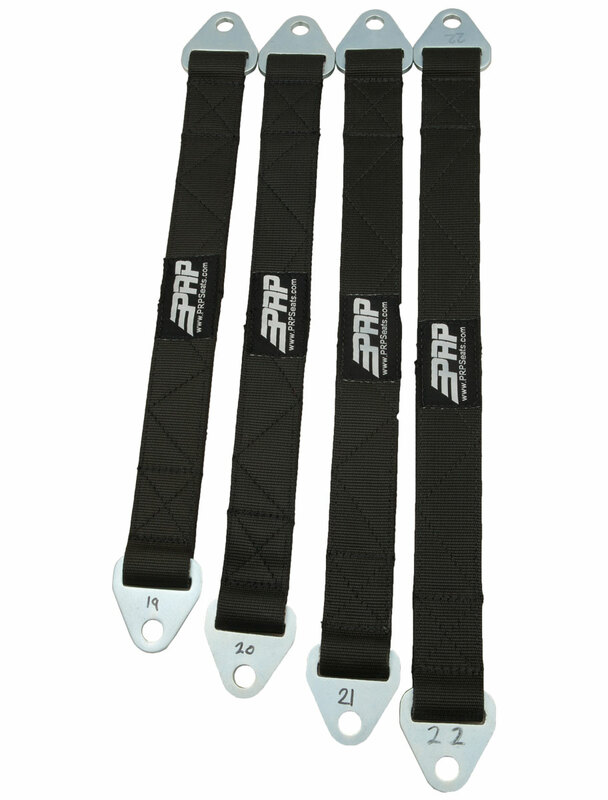 Every PRP limit strap is sewn 4 layers thick with 10,000 lb webbing. Available in 1 inch increments from 6 inch to 38 inch to fit your specific application.